St George Colegate conveys a spatial harmony and unity of aesthetic that implies a single, concerted building campaign, though work in fact spanned about 70 years. The view from the south shows the impressive west tower rising high above a nave characterised by a consistent use of flint at aisle level and an ashlar clad clearstorey. Inside, the arcade is relatively low (just over 17’), noticeably less than others of the period. Each arcade bay supports two clearstorey windows, but the lack of any vertical moulding joining the two levels and the height of the wall separating them encourages a reading of the whole as three horizontal layers rather than as a series of vertical compartments. This is further enhanced by the width of the nave and the low pitch of the roof, which adds to the elegant and restful effect. Most unusually, a fairly uniform window design, a three-light division with a central ogee, is used almost throughout the building, in chancel, nave and clearstorey. This entry was posted in Case Studies on February 5, 2016 by Norwich Medieval Churches. St Michael and All Angels is located between Colegate and Oak Street, approximately 120m north of the river Wensum. In the early fifteenth century, the church consisted of a chancel, an aisleless nave, and a west tower. Remains of all these are still visible, especially the tower which was perhaps begun c.1415 but took some decades to complete. The south-west window and south door of the nave, and much of the chancel (the ground plan and roof and the wall arcade on the south side) also survive and give a good sense of the character of the church at this period. A major transformation of the church began in around 1496, when aisles and chancel chapels were built, doubling the width of the church. The existing nave arcade, the walls of the aisles and chapels, and the large four-centred windows all date from this phase of building, however work on the south side was never completed. This entry was posted in Case Studies on September 1, 2015 by helenlunnon. The oldest parts of the present church are the 12th-century round west tower and the adjacent nave west wall, on which can be seen the probable height of the original nave and the slope of its gable roof. The nave today is substantially wider and higher than the 12th-century building and is likely the result of a 14th-century enlargement which also included the chancel. The window openings and their tracery is, however, largely of the 15th-century. Building of the transept was being paid for and the resulting chapels furnished in the mid-1460s; this was the last major extension of the church. This entry was posted in Case Studies on August 1, 2015 by Norwich Medieval Churches. 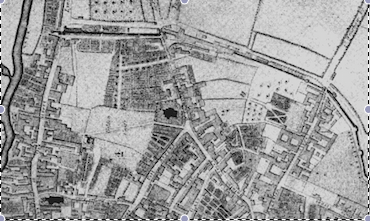 Evidence from the enrolled deed maps indicates the parish to have been a ribbon development extending up Oak Street to Baker Road, with the River Wensum to the west. Given the church’s dedication, it is plausible that at the time of foundation an entrance into Coslany (through a ditch or rampart) was located close to this church – perhaps immediately to the north, just beyond St Martin’s Lane. Churches dedicated to St Martin are very often just inside entrances, referencing the location at which the saint divided his cloak to share with a beggar. The other known examples in Norwich, at Palace Plain and the outer bailey at Norwich Castle, followed the same principle. The church’s popular sobriquet ‘at Oak’ references a tree in the churchyard which contained an image of the Virgin Mary. Together the oak and its icon were a focus for popular devotion and the requested burial place of John Buxton in 1513 and his wife Alicia in 1521. This entry was posted in Case Studies on July 1, 2015 by Norwich Medieval Churches. This parish was located at the northern extremity of Norwich at the end of Magdalene Street. St Margaret’s stopped being used in the 15th century, perhaps owing to changes in population densities in this peripheral part of the city, but it seems at least part of the building was still standing in the 1670s. Following redevelopment of the site in the 18th and 19th centuries, and bomb damage in the 1940s, the church and parish are known largely through late 20th century archaeological excavations. This entry was posted in Case Studies on June 1, 2015 by Norwich Medieval Churches. An archaeological watching brief and some excavation at St James Pockthorpe in 1979 established the successive phases in the development of its plan. The earliest church, of the 12th century, consisted of a rectangular nave with a somewhat smaller (shorter and narrower) rectangular chancel to the east. A south porch was subsequently added to the nave. The west tower, with its flanking compartments, came next. Finally, in the 15th century, a south aisle was added which required the destruction of the first porch and led to the building of a new one abutting the tower block. This entry was posted in Case Studies on May 1, 2015 by Norwich Medieval Churches. The earliest surviving parts of the present church date from the mid-14th century. The quoins of the nave from this period are embedded in the west wall and the east window of the chancel is apparently in situ. The early roof line of the nave on the east wall of the west tower suggests it is part of the same development. In 1448 money was left to reroof the chancel and glaze a window there. Work to widen and refenestrate the nave seems to be contemporary. 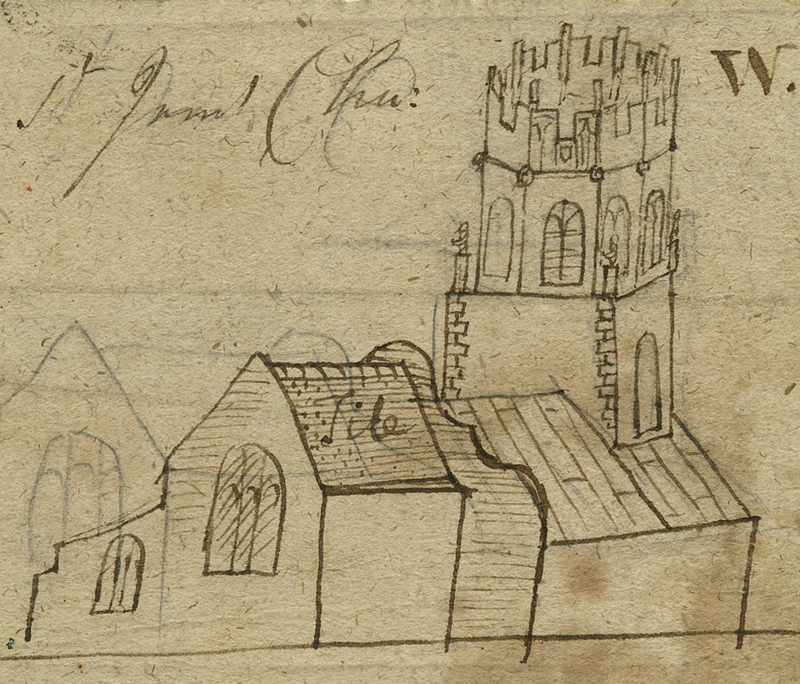 This entry was posted in Case Studies on April 2, 2015 by Norwich Medieval Churches.